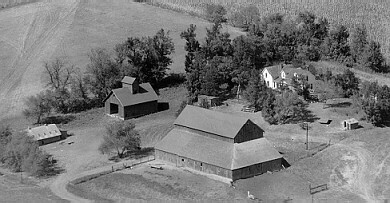 This picture was taken in 2002 and the farm was purchased in 1946 by my parents. The present house was built in 1985 replacing the old one; (the oldest part was built in the 1870s and the newer part in the1880s). 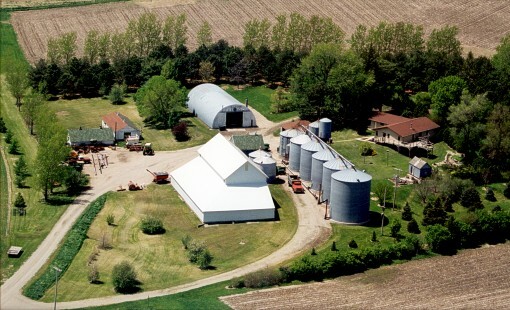 The barn was built before 1906, the Quonset 1969, the Elevator leg 1974 and the bins from 1965 to 1982. The main windbreak was planted in 1979 replacing the old one with rows of Austrian, Scotch, Ponderosa and White pine.